The RZR's are EFI. A PC would take care of any issues with mods. Jets? I have a fuel controller JT, come on this is 2008!!!!! Seriously though, we ran it up to 8000 feet and it ran great without touching the controller. 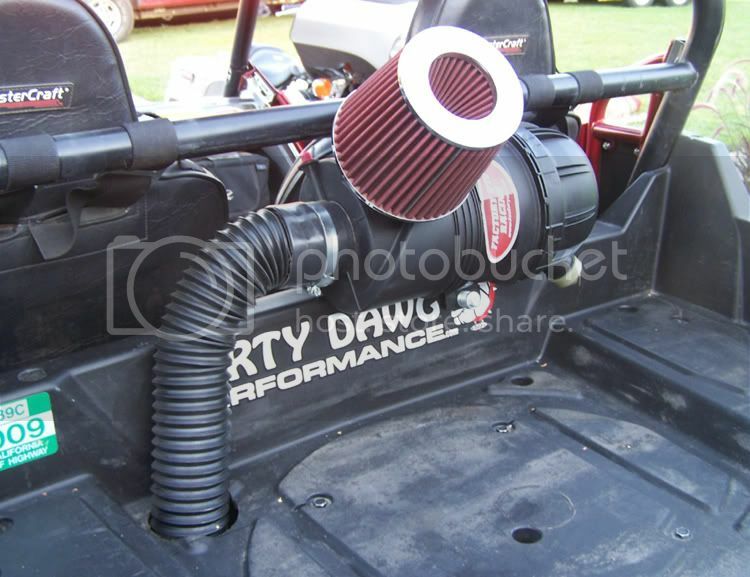 Filter was designed for a 3000cc generator, so supplying enough air for our stuff is not an issue... As far as I know the RZR is the ONLY off road vehicle that places the intake filtering setup directly in the path of the most possible dust? Where we have it now it's far less dust and far less heat, got to be better. 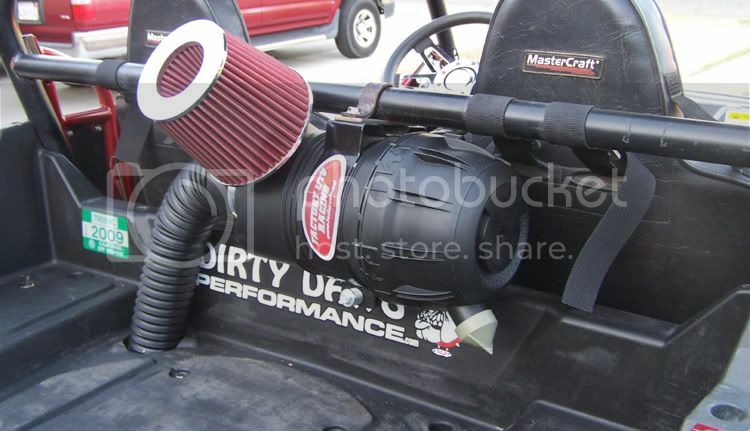 I was shocked to see the filters spotless, but since it's drawing air through the K&N first makes sense. K&N was plenty dirty..